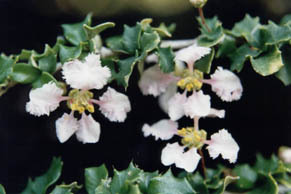 A low growing small holly-like plant with shiny toothed leaves and sporadic pinkish/white flowers throughout the year. 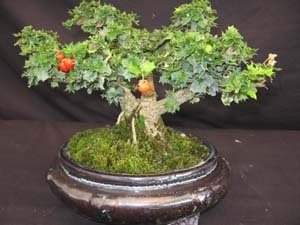 This plant makes a beautiful bonsai and a good houseplant. The flowers have a light fragrance as well. 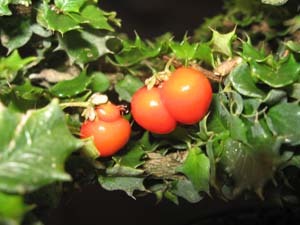 This is not a true holly.